It's a given that any Cinderella worth her glass slipper would be pretty in pink so if you imagine blending Cinderella with Pretty in Pink and setting it in the 1920s, you'll begin to imagine the film that screenwriter/director John Hughes had envisioned when he crafted the story for what was initially titled The Chambermaid. At one point promised to be a much-needed romantic comedy breakout movie for Oscar winner Hilary Swank with Hughes set to direct, after several revisions and the rotation of players from the bench to the field, John Hughes' idea about a dutiful working class maid who is mistaken for “the Goddess in the Park suite” by a rising Republican politician was transformed into the refreshingly delightful if predictable Maid in Manhattan. Needless to say, once you get a sense of its origins and '20s intentions, the confusion you undoubtedly faced when we meet the maid's prodigal, political buff son suddenly makes more sense given the Republican Party's differences in the 1920s verses the George W. Bush 21st century in which Maid took place. While Hughes stepped out, his cinematic preoccupations concerning class wars, wrong-side-of-the-tracks romance, and the way that love and human connection can tear down any wall shine through as Smoke and The Joy Luck Club director Wayne Wang came aboard to helm Kevin Wade's contemporary script for Jennifer Lopez. 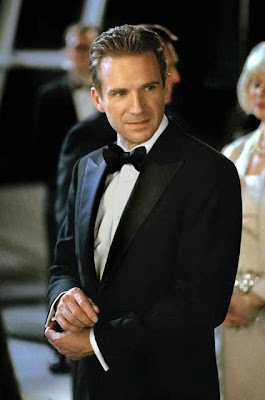 While this was the “Jenny from a Block” and Gigli period for Lopez, she makes a winning lead in the role of the dedicated Marisa Ventura, a divorced mom who finds her professional and romantic life colliding over a few fateful days when a chance encounter with the handsome senatorial candidate Chris Marshall (Ralph Fiennes) coincides with Marisa's decision to apply for a recently opened up assistant managerial position at her first class hotel. And while normally, the flurry of new love should give you confidence, for Marisa, it's alarming as she happens to meet Chris and get mistaken for a wealthy hotel guest during a rare moment of “letting her hair down,” after a fellow maid talks her into trying on a Dolce outfit that fits her just as well as Cinderella's glass slipper. 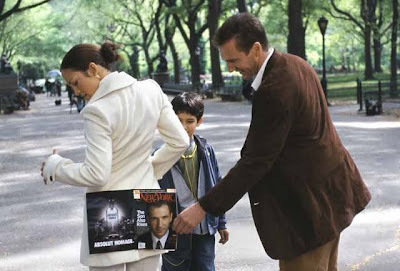 However, the chemistry between Lopez and actor Ralph Fiennes isn't quite as fiery as the tangible sexual tension she shared with actor George Clooney in one of her best performances to date as Karen Sisco in Steven Soderbergh's Out of Sight. Yet having become a romantic comedy genre favorite following her hit The Wedding Planner, she manages to make it work. Despite this, Maid is still one of a series of this generation's rom-coms wherein the male characters are written so dully that they're not only as interchangeable as Disney princes but just as unmemorable as the archetypal otherwise informally named Prince Charming whose personality is told to us rather than shown. Overall, it's Marisa's journey to find herself that matters more than finding love but when they happen to coincide in Wade's surprisingly complicated-- if overly formulaic-- screenplay, it makes Maid in Manhattan far more entertaining due to its combination of female empowerment and love story paradigms. Filmed with the obligatory inclusion of Norah Jones' gorgeous yearning hit “Come Away With Me,” on the soundtrack in lieu of '70s songs that Marisa's adorable son Ty talks about for his school report on the Nixon decade, which would've helped set it apart from other movies, Maid in Manhattan nonetheless holds up remarkably well today in a crisp Blu-ray transfer. The disc is one of Sony's new romantic high definition releases for the Valentine's Day month of February along with Mona Lisa Smile. And despite the fact that it's light on the bonus features, given some of the issues concerning race and class equality, Maid feels just as timely as it did in 2002, making the work a nicely thought-provoking but overall, positive feel-good charmer that reminds you that whether it's the '20s or the 2000s, fairy tales never cease to entertain.